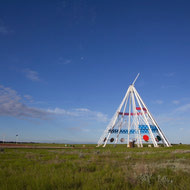 The Saamis Tepee was originally built for the 1988 Calgary Winter Olympics. 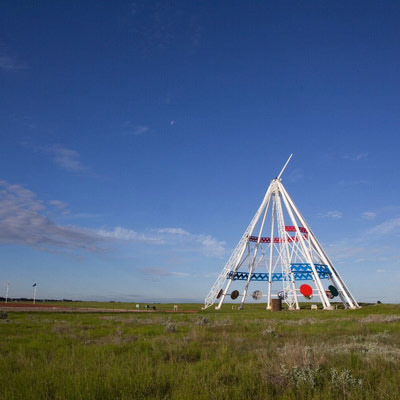 The colours of the structure are symbolic, white for purity, red for the rising and setting sun and blue for the flowing river. 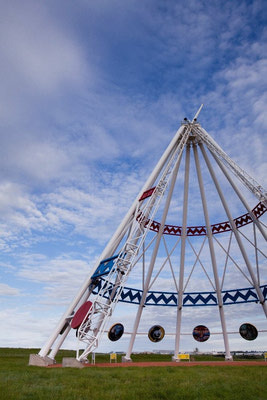 There are ten story-boards built into the tepee depicting native culture and history. 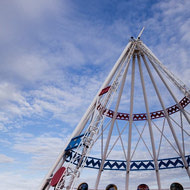 It is the World’s Tallest Teepee standing over 20 stories high, weighing 200 tonnes and capable of withstanding 150 mph winds.